Lawrence graduated from Louisiana State University with a Bachelor of Arts and Minor Degree in 2007. Lawrence graduated from University of Texas at Arlington with a Master’s Degree in Public Administration with an emphasis area in Public Budgeting and Financial Management in 2014. 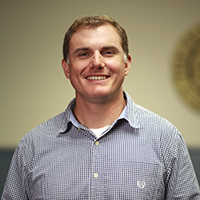 He has achieved the Texas Commission on Environmental Quality’s Level ‘A’ Water and Wastewater Operator Licenses. He is a NPDES Certified Stormwater Inspector. Trish Holley was appointed the Director of Administration in March 2011. She has been employed with the City since January, 1990. From 1991 to 1997 she served as the Assistant City Clerk and from 1997 to 2011 as the City Clerk. 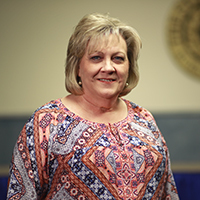 Mrs. Holley has lived in Burkburnett since 1989. She and her husband, Steve, have one daughter. Janelle Stahr was appointed City Clerk in May of 2011. She was previously employed with the State of Texas for 19 years. The Office of the City Clerk maintains information on formal actions of the City Council; meeting dates, times and places; election data; ordinances and resolutions; contracts; records management and other official City documents. 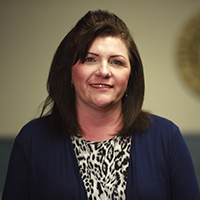 Janelle is currently enrolled in the Texas Municipal Clerks re-certification program. 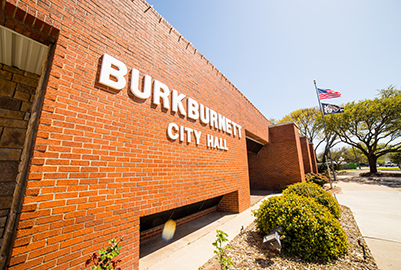 Janelle has lived in Burkburnett since 1984. She has three children, Josh, Cortney, and Keaton, and has five grandchildren.